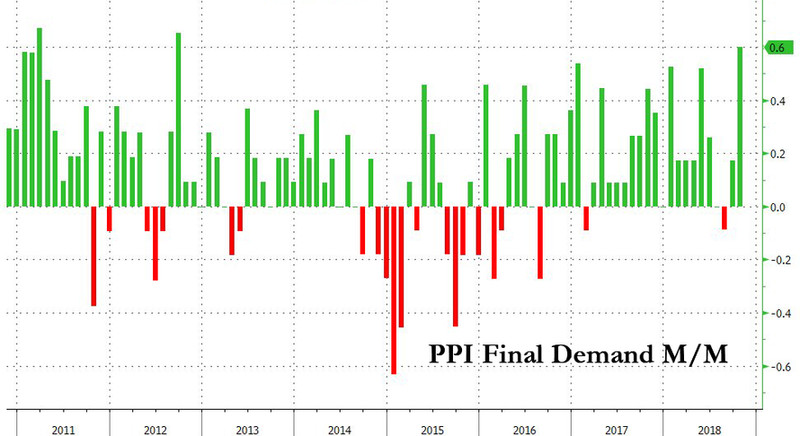 Core Producer Prices surged 0.6% MoM (well above the 0.2% expected), the biggest spike since September 2012 which sparked rebounds in the headline YoY change back towards 3.00%. 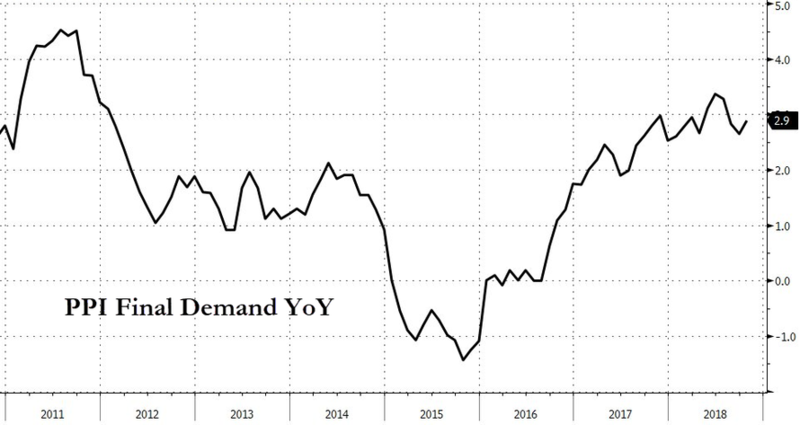 About one-fifth of the October advance in prices for final demand services is attributable to a 1.2-percent rise in margins for machinery, equipment, parts, and supplies wholesaling. The indexes for food and alcohol retailing; health, beauty, and optical goods retailing; inpatient care; apparel, jewelry, footwear, and accessories retailing; and traveler accommodation services also moved higher. In contrast, prices for loan services (partial) fell 0.5 percent. The indexes for hospital outpatient care and furniture retailing also declined. 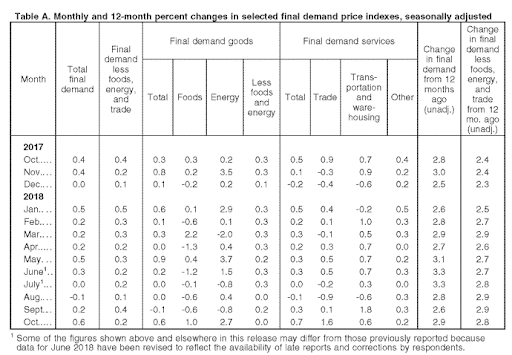 The index for final demand goods climbed 0.6 percent in October, the largest rise since advancing 0.9 percent in May. Nearly three-fourths of the October increase can be traced to prices for final demand energy, which moved up 2.7 percent. Over 60 percent of the October increase in prices for final demand goods is attributable to the gasoline index, which jumped 7.6 percent. Prices for diesel fuel, fresh and dry vegetables, beef and veal, cigarettes, and jet fuel also moved higher. Conversely, the motor vehicles index fell 0.7 percent. (In accordance with usual practice, most new-model-year passenger car and light motor trucks were introduced into the PPI in October. Prices for liquefied petroleum gas and for fresh fruits and melons also decreased. If they are not, margins will collapse.